When a brother and sister fight, can they overcome their differences? Harvey Muskrat and his sister Mildred don’t always get along. In fact, Harvey thinks Mildred is a bossy loudmouth, and she thinks he’s selfish and inconsiderate. 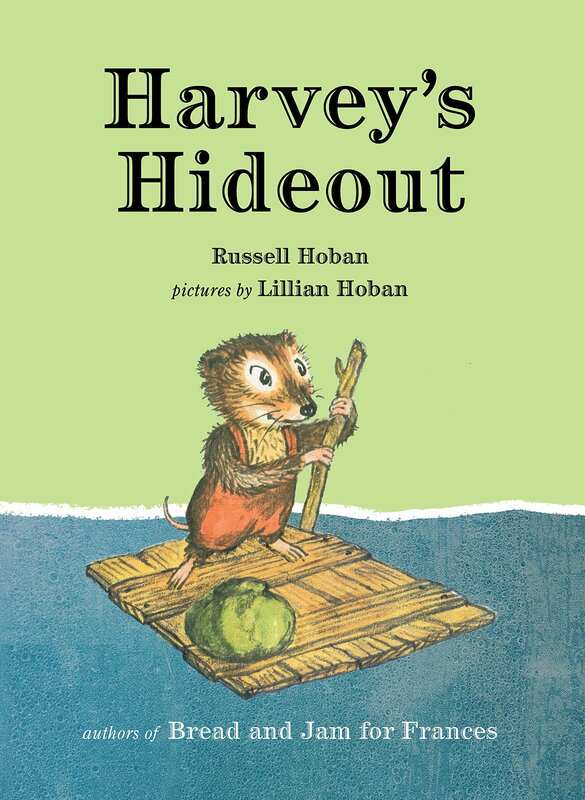 Harvey’s Hideout is a cute story with full-color whimsical illustrations that children and adults can relate to. Harvey and Mildred go their separate ways with secret clubs and girls-only tea parties as only siblings at odds can. While their parents try to curb their name-calling to little effect, it’s an accidental discovery that reconnects the brother and sister. The illustrations are simply precious and the story universal. This is a great read for the little ones and a sweet reminder for adults. Definitely provides opportunities for conversations with little ones. I have many fond memories of the Hobans’ books, and it’s great to see them accessible to a new generation. For big sisters and little brothers in dens, burrows, and houses everywhere. When Mildred goes off to a big party where little brothers are not invited, Harvey finds a secret club in a secret place where big sisters are not allowed to be members. But when Harvey’s lonesomeness overpowers his stubbornness, he discovers that a secret club with two members is much better.